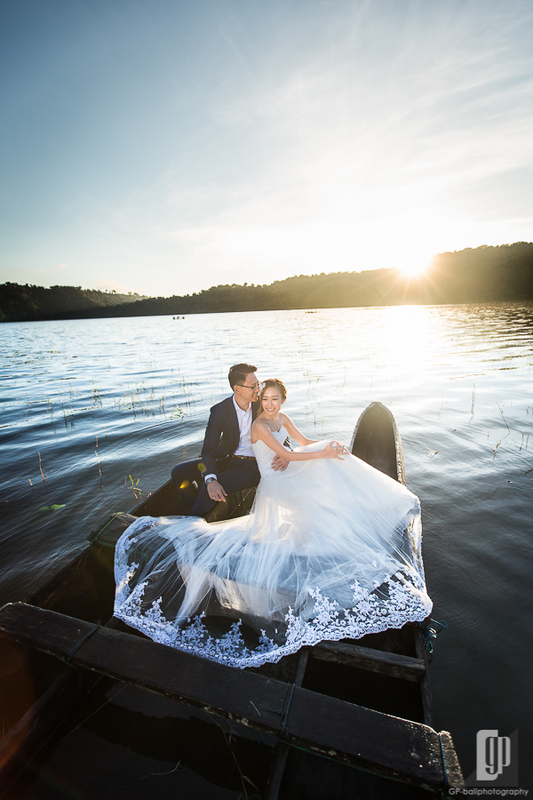 May 31st 2015 becomes one of the sweetest moments for YY and Lenelle before they moved to marriage life. 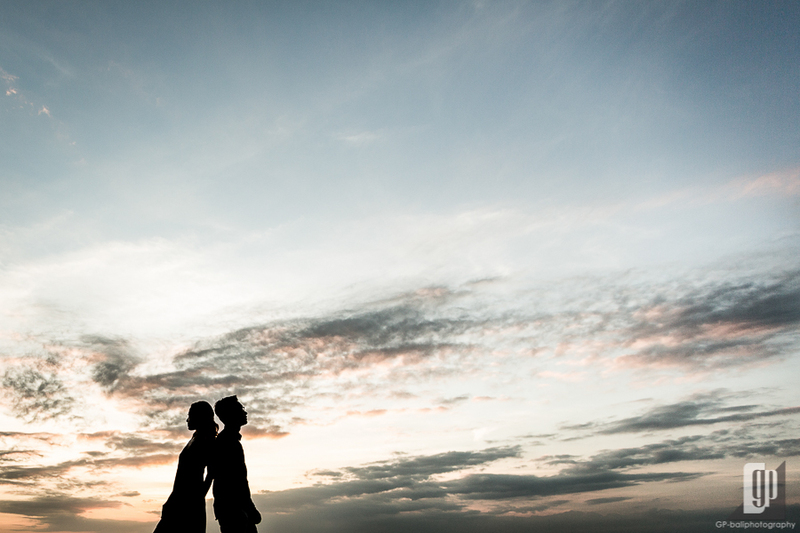 Such a honor for GP Balipotography having a chance to capture their pre-wedding photoshoot on that day. 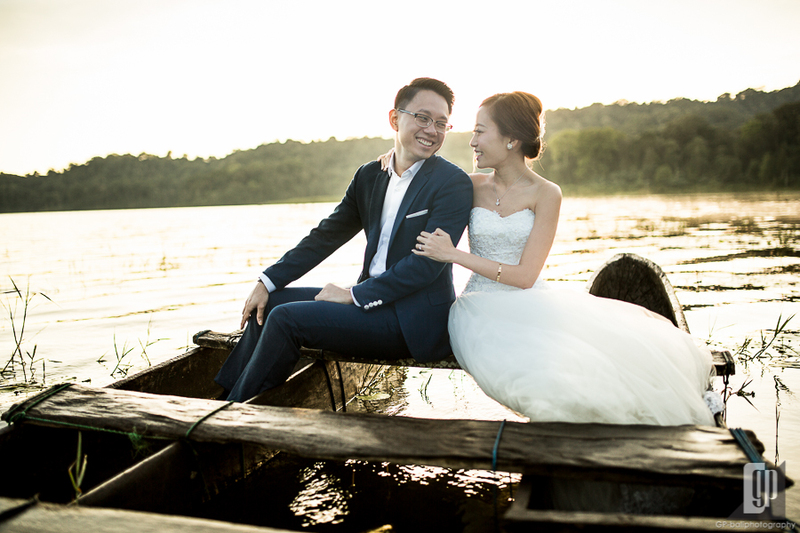 The weather was a friend of us, which lead this Singaporean couple to get a beautiful natural background for their photo. 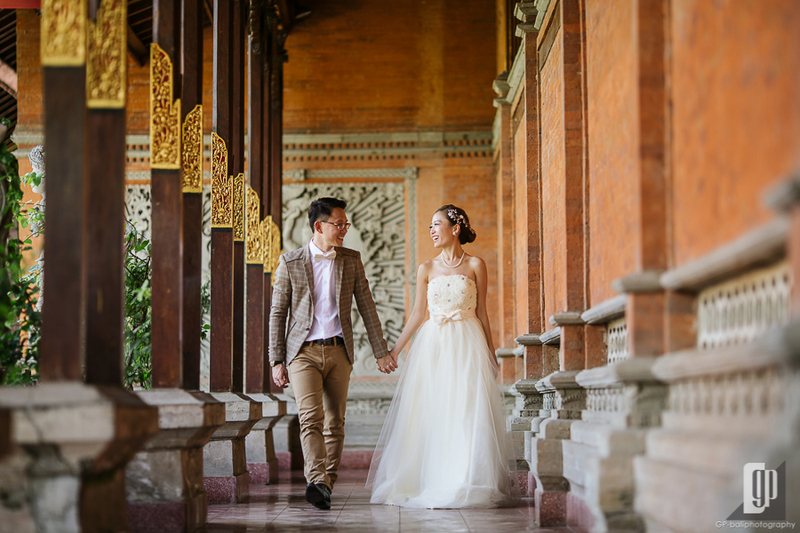 Tamblingan Lake, Bali Art Centre, Sanur Beach, Jimbaran Cliff and Sunset Beach were romantic venues to witness the true love between YY and Lenelle. 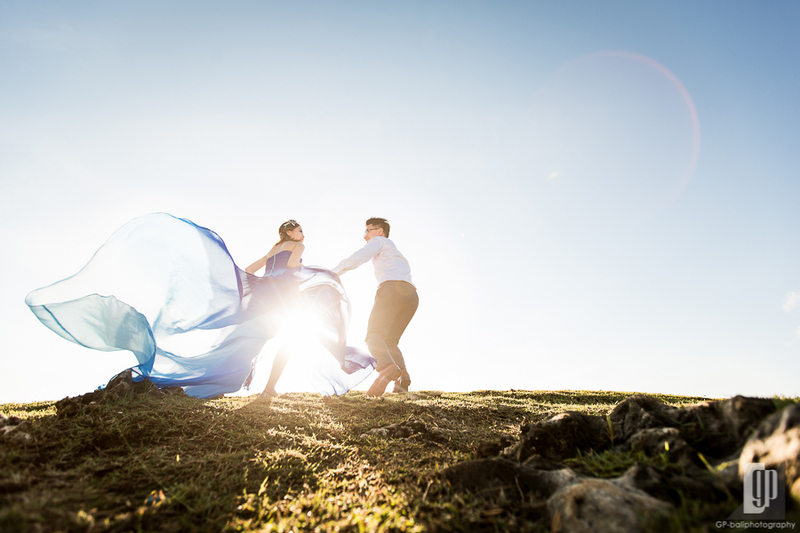 With All-day Pre-wedding Package, we took the couple to join pre-wedding photo-shoot started from 1 AM to 7 PM. Firstly, couple were invited to have make up and styling at 1 AM. Do you think it’s too early morning? 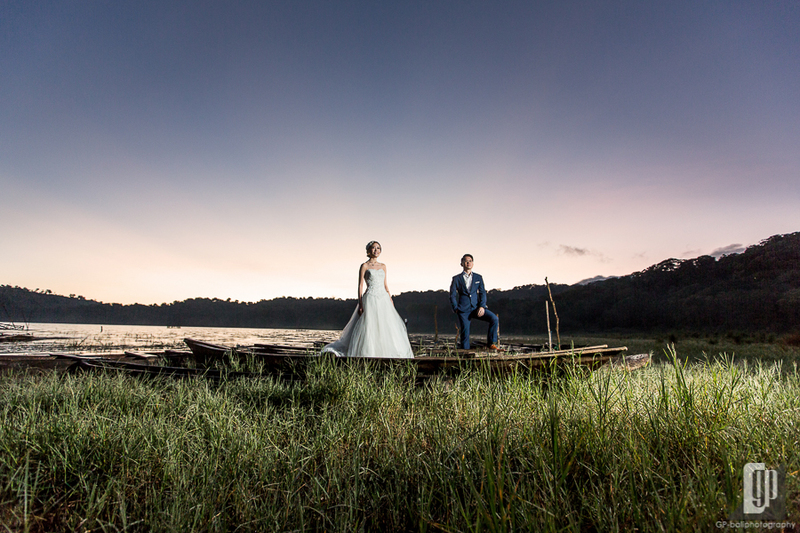 No, not for us, because we have a mission to catch spectacular sunrise at Tamblingan Lake. 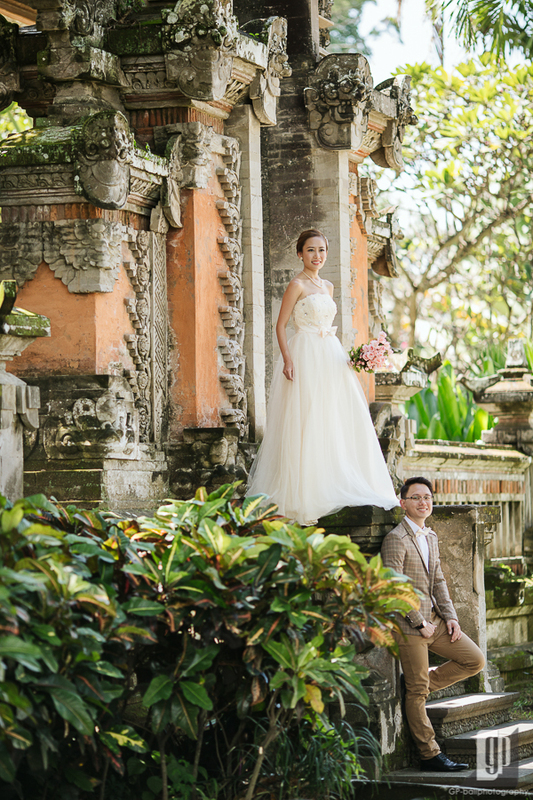 Actually, this couple stayed at hotel near Ubud, which made our trip easier and faster to reach the lake location. Tamblingan Lake is located in the north of Bali, near with Buyan and Beratan Lake, two other famous lakes in Bali. Fortunately, we arrived on the right time, where Tamblingan Lake exposed mystical fog and stunning sunrise. It was such a perfect combination to create romantic scene between YY and Lenelle. 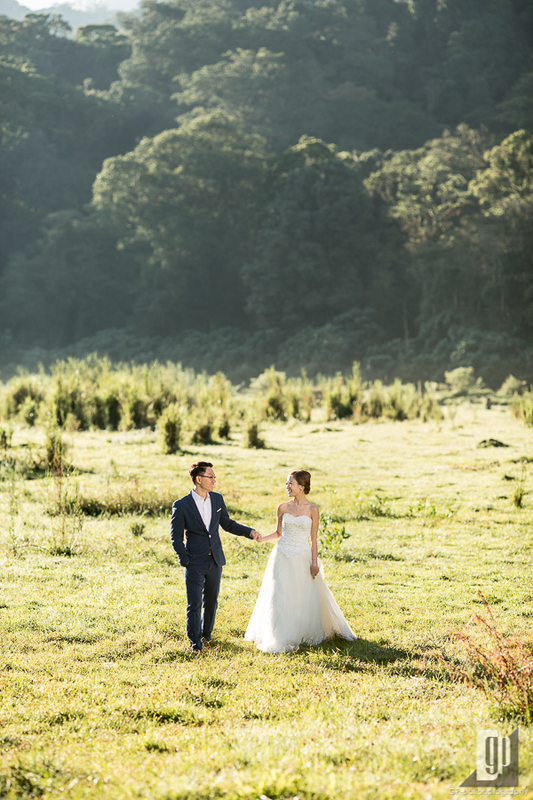 A beautiful white bridal gown brought such exquisite looks to Lenelle, while YY accompanied her with his stylish black suit. Both looks completely match one another. 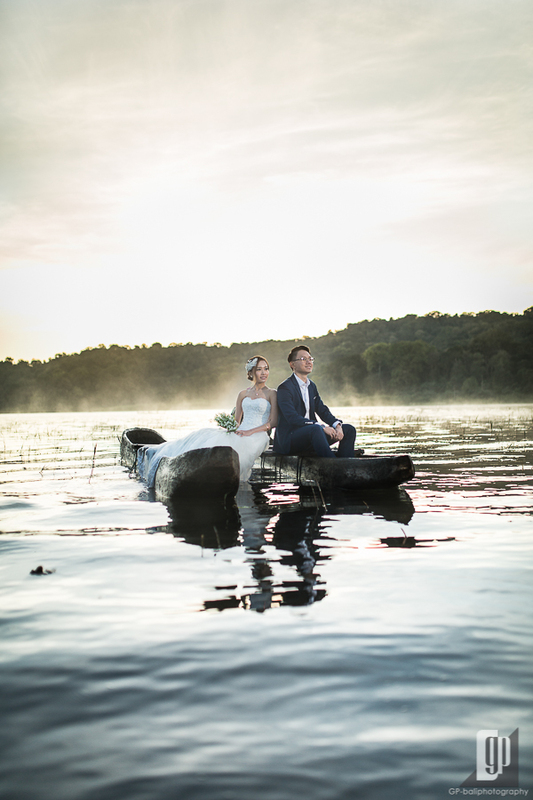 Some traditional wooden canoe became our antique property to bring unique feel into photo. 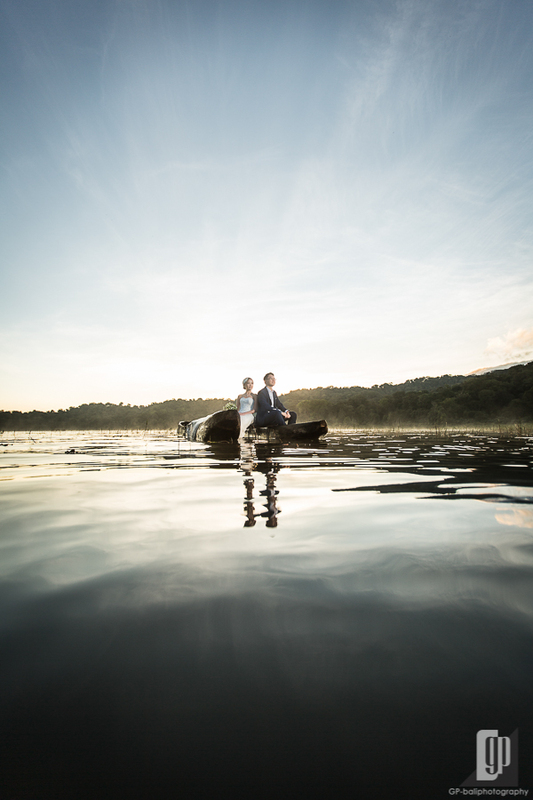 We asked the couple to perform some romantic pose by exploring canoe, lake and natural landscaped. 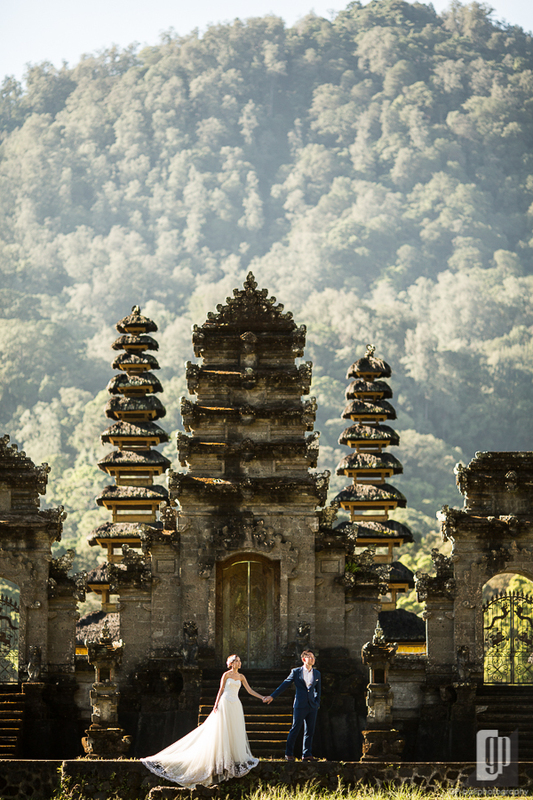 In addition to the lake, the majestic view of temple near Tamblingan Lake also created such exotic impression to the pre-wedding shoot. 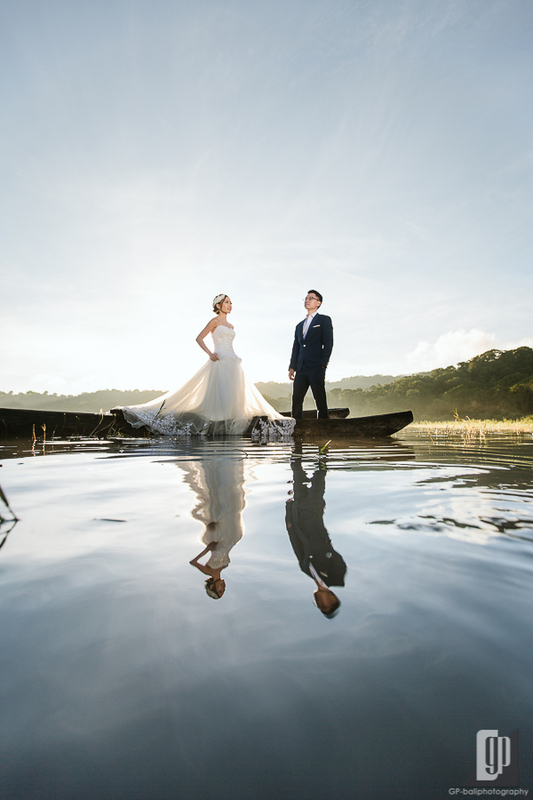 When Tamblingan Lake highlighted the theme of Bali romance in nature, our next photo-shoot chose Bali Art Centre to capture the artsy combination between modern style and Balinese traditional essence. 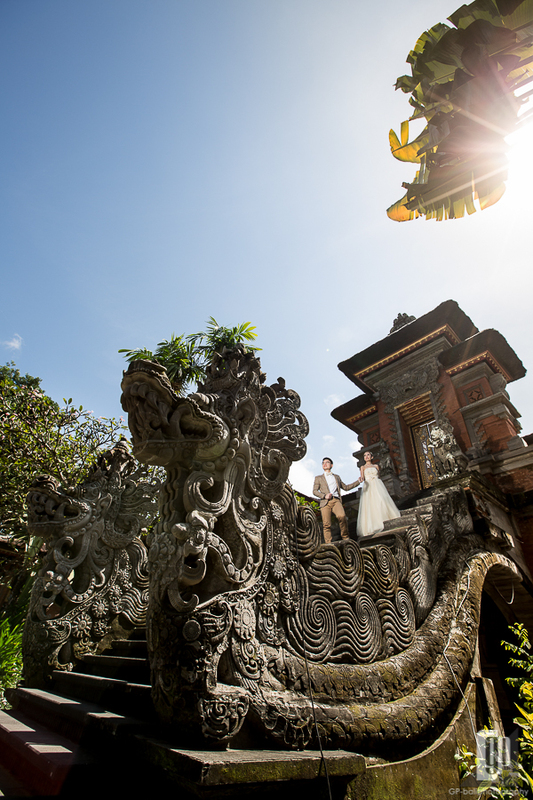 It was represented by couple’s modern bridal themed costume and Balinese ornaments in setting. 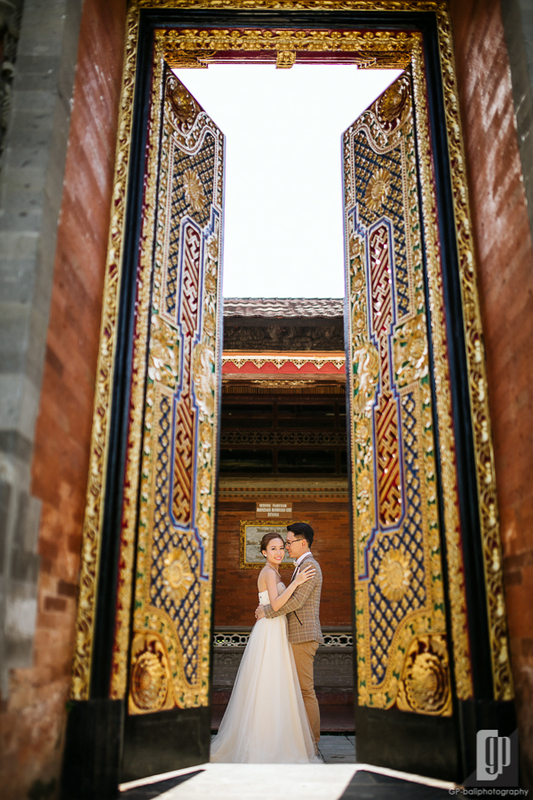 To bring a fully Bali art impression, we explored the Balinese gate as impeccable background for both couple. 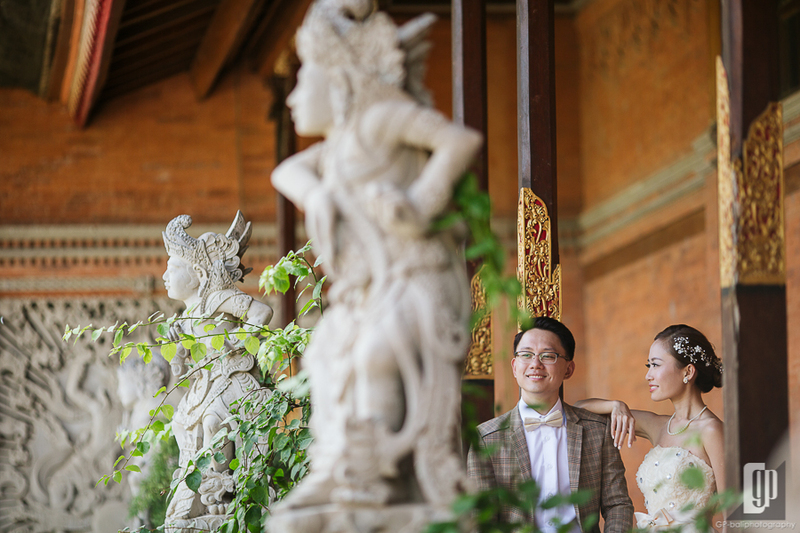 Every traditional detail attached on wooden carving and stone sculpture brought such elegant and exceptional scene for the couple. 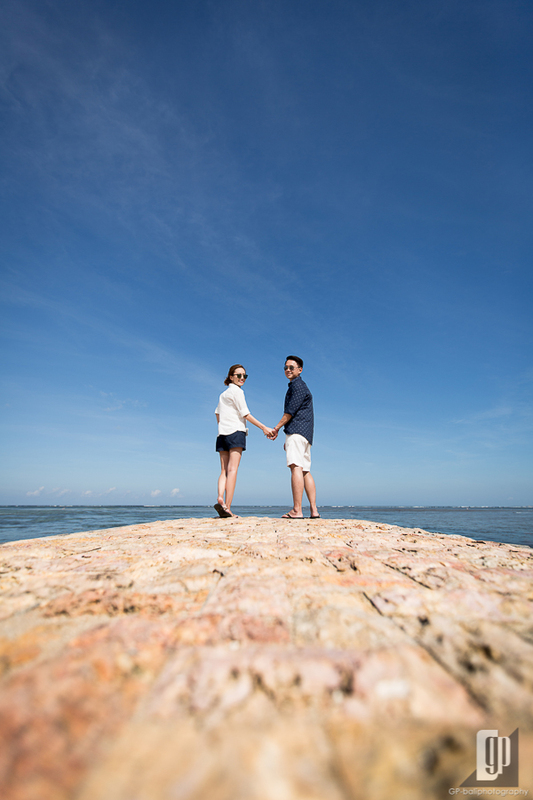 Another pre-wedding destination lead us to Sanur Beach. 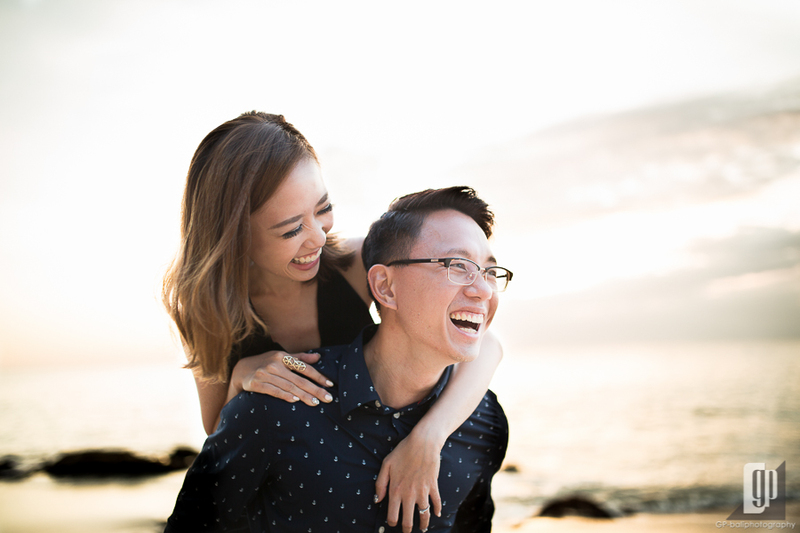 We thought this beautiful white sandy beach could be perfect setting to describe couple’s characters, which are funny and love to the nature. 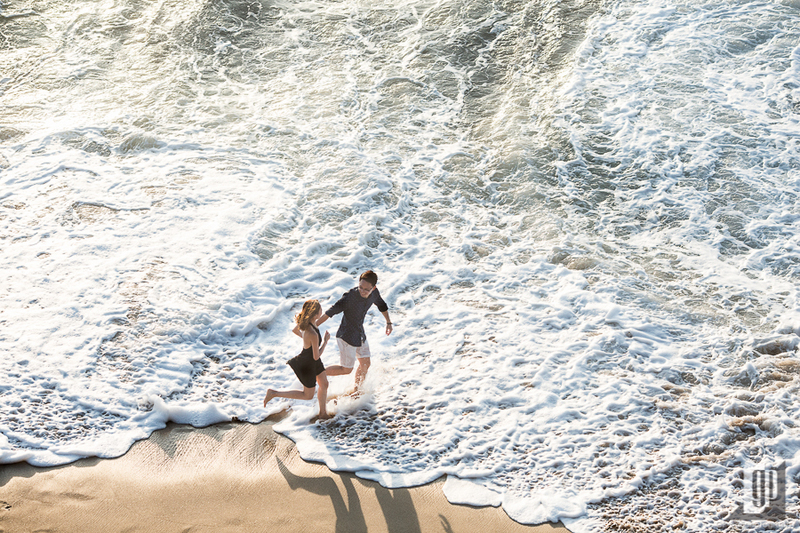 So we decided to make two casual photo pre-wedding theme with beach sensation in backdrops. Well, God blessed our plan with super clear sky and low tide at the beach. 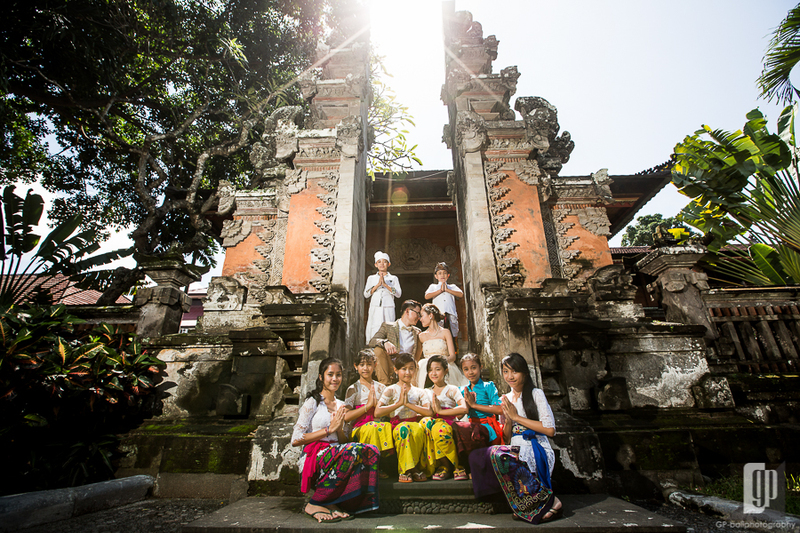 Sanur beach offered remarkable spots to exude the casual theme between YY and Lenelle. 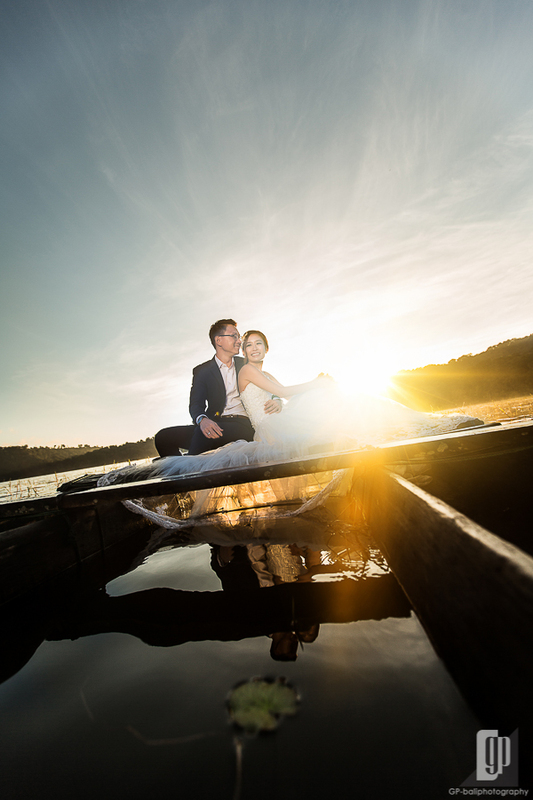 Some colorful Balinese outrigger canoe gave such romantic and joyful into pre-wedding scene. 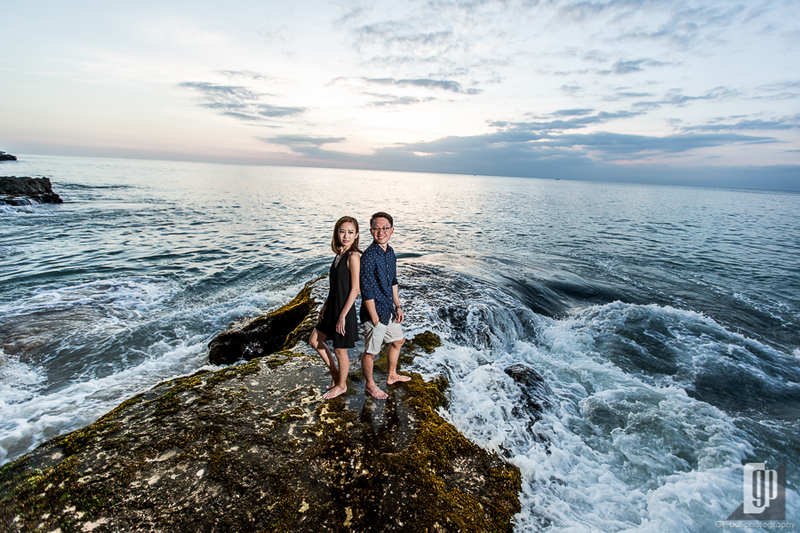 Continue to reach the same casual feeling, our last photo-shoot was held in two different locations, Jimbaran Cliff and Sunset Beach, where both boosted romantic scene through beach elements. 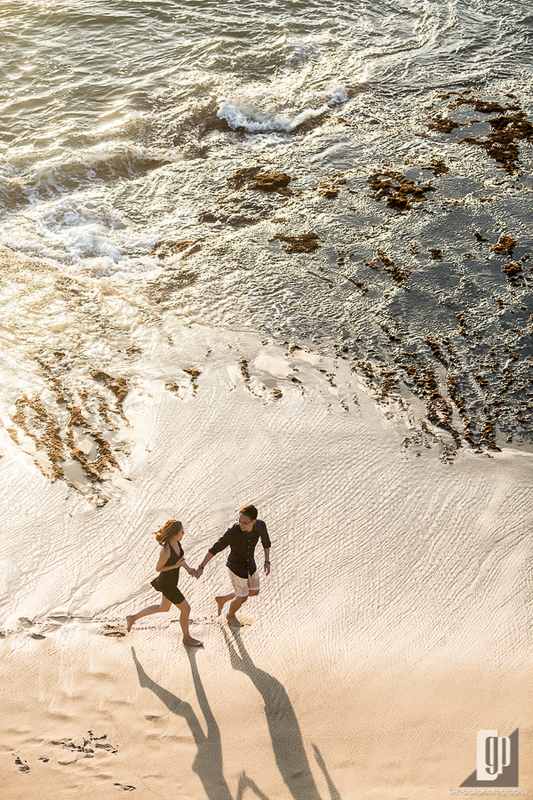 We found a kind of tropical romance by exploring breathtaking cliff, clear blue sky, exotic white sand, powerful wave and couple’s love scene.